It’s not just where you have LASIK, but who performs it. 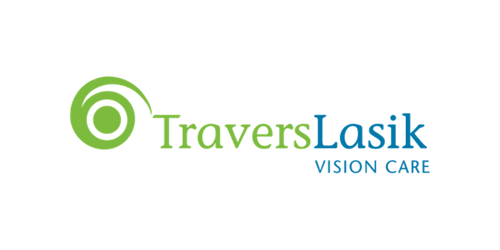 At Travers Lasik Vision Care, we make it a priority to have the latest, most state of the art diagnostic equipment available to LASIK surgeons. We feel it is necessary to offer patients the most advanced diagnostic technology to help determine what type of vision procedure is best for our patients, and to create the most comprehensive vision care plan possible. By having these three state of the art diagnostic machines at Travers Lasik Vision Care, Dr. Travers can better choose who is a good candidate for laser vision correction. Dr. Travers analyzes all of the data from these pictures to customize each patient’s treatment. Most laser vision correction clinics do not utilize three diagnostic machines. The Orbscan is a powerful diagnostic system that provides a more in-depth understanding of the cornea than traditional topography by creating a detailed map of the entire cornea surface. The corneal map is created in 1.5 seconds with over 9,000 data points to analyze the elevation and curvature measurements of the cornea. The Orbscan is an invaluable tool during pre-op diagnostics with its ability to detect and analyze corneal abnormalities, measure the anterior and posterior surfaces of the cornea, and create customizable maps to illustrate the measurements. The Zywave uses a low power laser light to precisely measure refractive errors and flaws of the eye known as higher-order aberrations that can cause vision problems. With detailed information on the way the eye refracts light (passes it through the eye), the Zywave not only has the ability to analyze the aberrations of the eye but it can also describe a patient’s basic prescription and pupil size. The Zywave, in conjunction with the Orbscan, helps define each patient’s individual eye map that enables the surgeon to guide a custom LASIK treatment plan. The Zeiss Atlas Cornea Topographer (formerly known as Humphrey’s topographer) is one of the best purely anterior surface topographers. It is a computerized, photographic instrument that has the ability to detect irregular conditions in the cornea by way of a small footprint of the eye created by thousands of data points. The Humphrey Atlas Topography System provides accurate information to determine whether or not a patient is a candidate for LASIK. The topographer also has the ability to detect slight conditions of the eye such as keratoconus, and can help doctors monitor subtle changes of the cornea over time. Equipped with the automatically rotating Scheimpflug camera, the Pentacam is able to perform a complete measurement of the eye in less than 2 seconds by taking pictures of the anterior and posterior surfaces of the cornea. The Pentacam gives information about cornea shape and thickness of the cornea. The data collected by the Pentacam provides the basis for a three-dimensional model of the complete anterior eye segment. Copyright © 2019 Travers Lasik Vision Care. All rights reserved.